Mayans are well known for their advances in astronomy and mathematics, as well as their profound spiritualism. They practiced many sacred rituals to honor their gods, mother nature and everything that exists on the face of the earth. They held sacred ceremonies during which they made offerings to the thirteen Mayan levels and spheres of life where all the gods of heaven and the underworld were believed to exist. This sacred ceremony was to honor the gods and pay them respect while requesting their blessings. 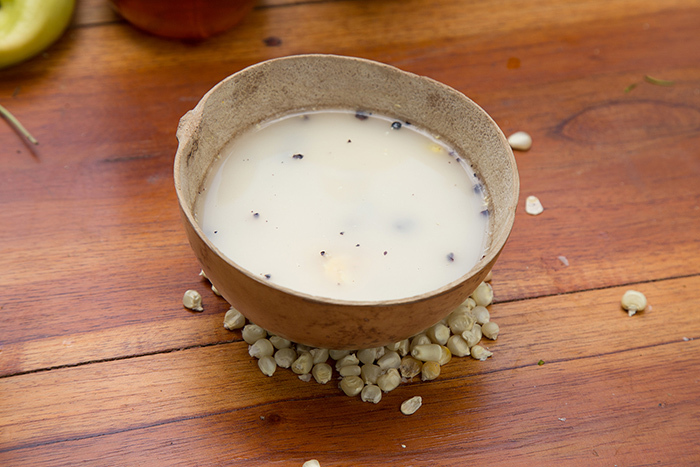 SAKA’ was a sacred beverage prepared by the priest for the Mayan sacred ceremonies made of the finest corn and the purest wild honey. Once blessed and offered to the Mayan gods, the SAKA’ was shared among those that participated in the ritual. Good fortune was associated with this ceremony of gratitude and homage to the gods and holy earth elements. All of these energies were united in spirit with nature while the sacred ceremony was performed. Although coffee wasn’t known to exist back when the Mayans were a more prominent civilization culture, we felt it was appropriate to name our coffee SAKA’because coffee has become one of our modern culture’s sacred beverages. It provides a comforting and energetic start to our every morning, a ritual in its own way to many. SAKA’ Mayan Coffee brings with each cup a superior coffee experience made from only the finest beans grown in the prime production regions of Mexico. We are proud to bring our sacred coffee to your table.